Technology has been very good at giving us what we want, but less good at giving us what we need. We are at an inflection point in our relationship with technology. Technology allows us to do amazing things that have immeasurably improved our lives. But at the same time, it’s accelerated the pace of our lives beyond our ability to keep up. And it’s getting worse. We’re being controlled by something we should be controlling. And it’s consuming our attention and crippling our ability to focus, think, be present, and truly connect with ourselves and the world around us. The numbers only confirm what we all know to be true — we’re addicted. A 2015 Bank of America report found that over 70 percent of Americans sleep next to or with their phone. This addiction comes at a cost. 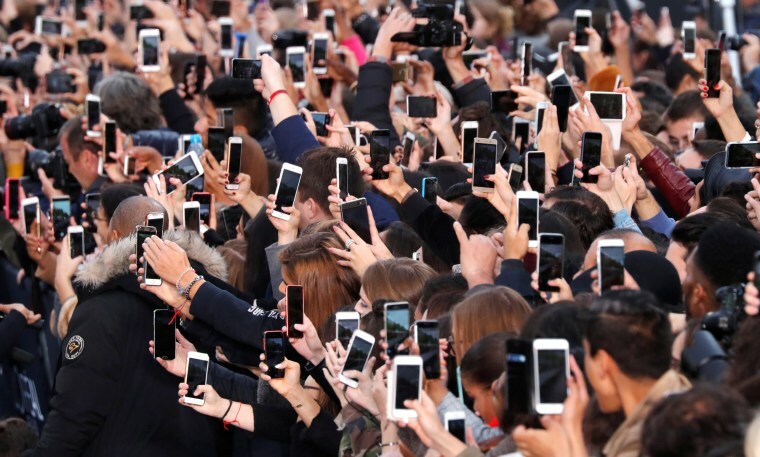 A Pew study from the same year found that 89 percent of phone owners said they’d used their phones in their last social gathering, and 82 percent felt that when they do this it damages the interaction. It’s gotten so bad that the phone doesn’t even need to be turned on for it to negatively affect our relationships. One study found that when two people are in a conversation, the mere presence of a phone can have, as the authors write, “negative effects on closeness, connection, and conversation quality,” leading them to conclude that the mere presence of mobile phones can create a psychological hindrance. There’s also plenty of research suggesting a link between heavy social media use and depression, especially in young people. The problem lies not with our desire to connect, but with our form of connection. The problem lies not with our desire to connect, but with our form of connection. Our technology gives us a form of connection with the whole world, but at the same time it can limit the depth of our connection to the world around us, to those closest to us, and to ourselves. Technology has been very good at giving us what we want, but less good at giving us what we need. And what we need is to re-calibrate our relationship our technology. This is one of the most important conversations of our time. And ironically, conversation is the very thing our addiction to our screens prevents. We’re so busy scheduling our lives, documenting them, logging them, tracking them, memorializing and sharing them that we’re not actually living them. Importantly, our ability to have this conversation won’t last forever. The rise of AI, and the increasing hyper-connectivity of our daily lives, has the potential to erode our humanity even further. Isaac Asimov saw this coming back in 1988. “The saddest aspect of life right now,” he wrote, “is that science gathers knowledge faster than society gathers wisdom.” And right now, we’re drowning in data, but starved for wisdom. Wisdom would require thinking about the qualities we consider essentially and uniquely human – about what is sacred and irreducible about our humanity — and then thinking about how can we redraw and protect the borders of that humanity as technology is mounting a full-scale invasion. And the answer isn’t to stop technology or go backwards. That ship has sailed — and mostly for the better. The answer is smarter and better technology. In fact, I think this is going to be one of the next frontiers in technology — and it’s one of the things we’re doing at Thrive Global with our technology platform — creating apps and tools and even AI that helps rebuild those barriers around our humanity, and reclaim the time and space needed for real connection. The increase in automation and AI, what some are calling the Fourth Industrial Revolution, is obviously going to bring profound changes. In the workplace, it’s going to put a premium on essential human qualities like creativity, intuition, decision-making, and wisdom. The paradox is that these are the exact qualities that are impaired by our addiction to technology. So our ability to succeed in the technology-dominated workplace of the future depends, in no small measure, on our ability to — right now — take back control of our technology, and our lives. Arianna Huffington is the founder and CEO of Thrive Global, the founder of The Huffington Post, and the author of 15 books, including, most recently, "Thrive" and "The Sleep Revolution."